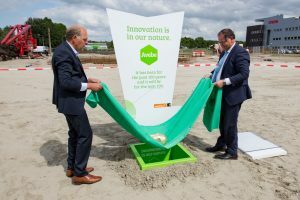 Avebe, Groningen University and the project developer Triade have reached agreement about a new innovation centre to be built at the Zernike complex in Groningen. This will be a complete innovation centre with a laboratory, pilot factory, office and a client innovation centre. Agreements have also been reached on cooperation in the area of research and education.